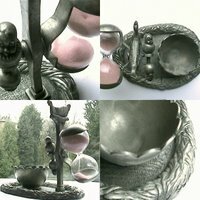 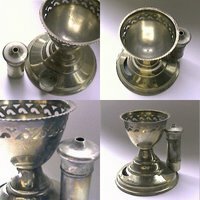 Metal egg cups are far more resistant than porcelain or glass egg cups and, therefore, it is much easier to find surviving antique pieces in metal than in glass or porcelain. 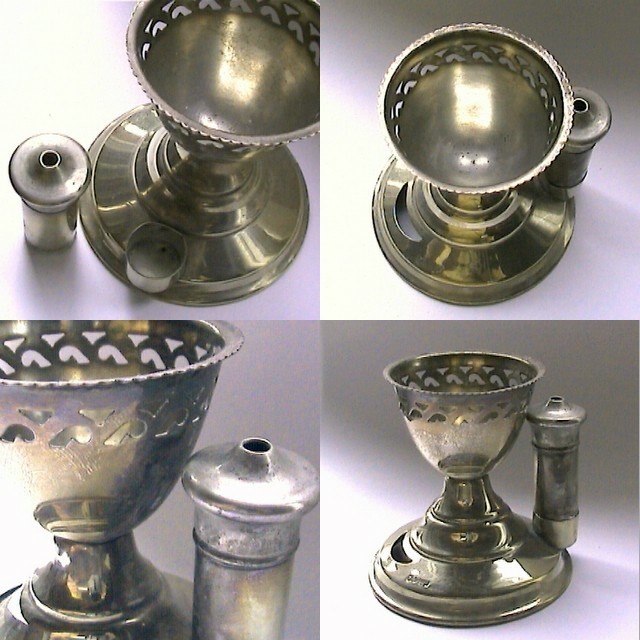 But that's not the only great thing about antique metal egg cups: they also tend to offer more original and elaborated forms, as this selection shows (hopefully). 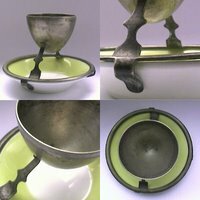 If you want to see an antique metal egg cup in its own natural context, as well as a very entertaining film, I encourage you to see "Das Testament des Dr Mabuse", filmed by Firtz Lang in 1932. 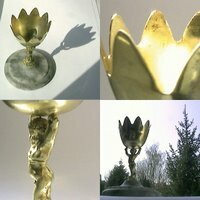 The egg cup appears near the end of the film. 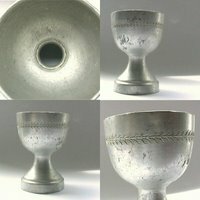 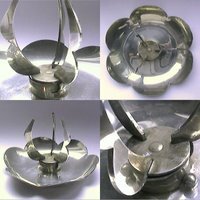 1) aluminium, hollow foot [eggcup3929]; 2) maybe made in Austria [eggcup2112]; 3) brass, made in France by Le Crabe [eggcup1930]; 4) has been seen also without the base [eggcup2437]; 5) marked "Les Etains de Paris" [eggcup2055]; 6) marked "Bath & Chaves", an identical model appears in 1907 WMF catalog [eggcup0615]; 7) marked E.P.N.S. 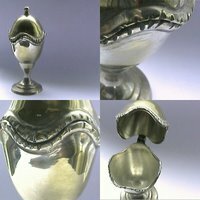 ("Electro-Plated Nickel Silver") [eggcup1923]. 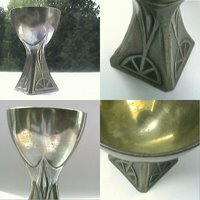 If you like metal egg cups, you'd be delighted with our Modern design metal egg cups selection. 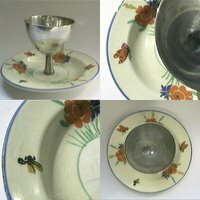 If what you're looking for are antique egg cups with some parts in metal and others not, you could check this Grosvenor Works egg cup or this Meir Ware one from the Integral saucer egg cups post.